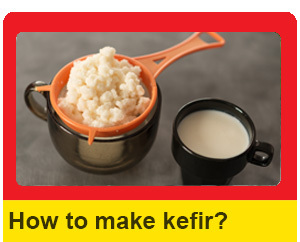 When it comes to finding real kefir grains, the internet can be a great resource or a troublesome enemy. There are many websites and sellers online who claim to have the authentic kefir grains which will multiply and continue to make delicious kefir for many years. However, kefir grain buyers should beware. Many of these suppliers are selling kefir starter cultures which do not have the same qualities as kefir grains and last for only a short time, or the grains have been dried, which makes activating them again difficult so the supplier must ship them carefully. 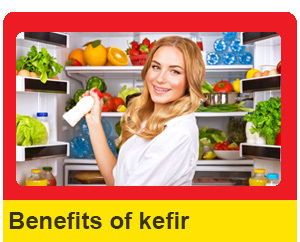 Also kefir grain powders should be avoided as the probiotic features are not the same. Despite these problems, if you are not lucky enough to have a friend or neighbor to pass on their own kefir grains to you, the internet is likely to be your first source. There are a few steps that you can take to avoid a kefir catastrophe. First of all, be sure to read the description of the product and delivery thoroughly. Look for phrases like ‘live kefir grains’, ‘authentic or real kefir grains‘ and something referring to the fact that it will multiply and last many years. The shipping should not be standard. They should refer to special packaging that will keep the grains from being crushed, and something heat resistant to prevent them activating again. Finally, make sure you check the reviews of the product; if they are mostly positive than your experience is likely to be as well. Also, start your search local. There may be someone in your area already making kefir milk who is willing to ship or organize a pick up of their excess kefir grains. You can find kefir grains using the menu below. I need to buy kefir in bulk can you help pls? Hi Bela, if you can provide more information, we can help with bulk ordering process. Where can I find kefir grains in Australia? Hi Debra, you can order them on our shop. link for buying kefir grains in new zealand does not work! 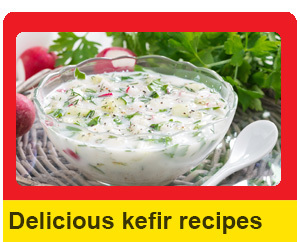 Hi Kal, you can order kefir grain using our kefir shop. Best. Your website says out of stock of kefir grains but doesnt say what to do about it. How do we know when they are in stock again? Do you have any eta? Rica thanks for asking. You can check our shop to see available kefir grains. I live in Auckland,New Zealand. Could not find a NZ link to order Kefir, can you help? Hi Sueduffy, you can order kefir grains using our kefir shop. We have free shipping all around the world. Best.